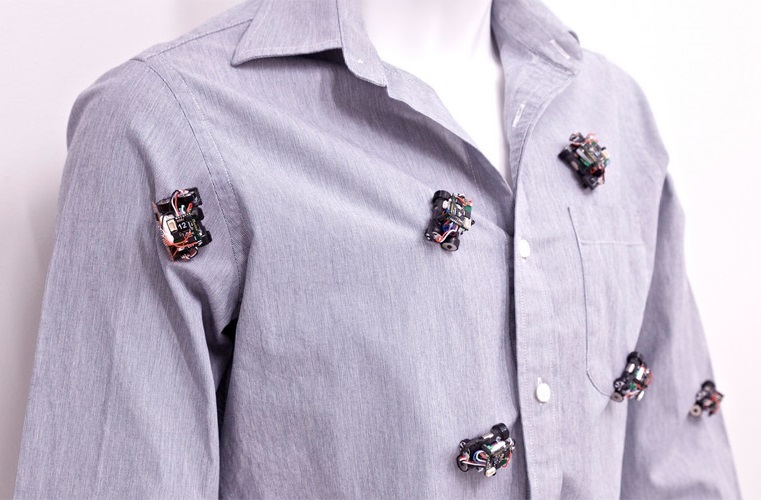 How would you like the idea of an army of small robots crawling all over your body every day? That's just what Rovables, small robots that live on your clothes, do... potentially with good effect. Developed at MIT and Stanford University, the machines are intended to serve a multitude of functions, from acting like interactive jewellery, to fixing tears and moving to your head to act as a phone. Pretty awesome, and we like the fact that they seem to join together to display LED messages, but we'd probably like them to become a lot smaller before we let them on our clothes. But hey, wear a few of these and you'll never have to ask another human to scratch your back. There'll be an app for that.